The P858 was Intel's 0.18 micron process for 200mm wafers starting in 1999. 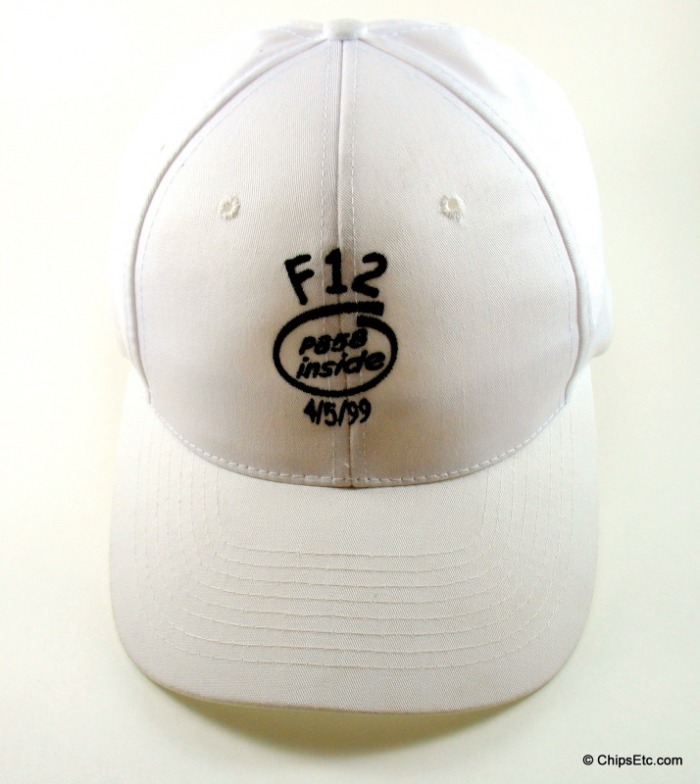 Fab 12 (F12) is located in Ocotillo (Chandler) Arizona which started operations in 1996 and then re-opened in 2005. 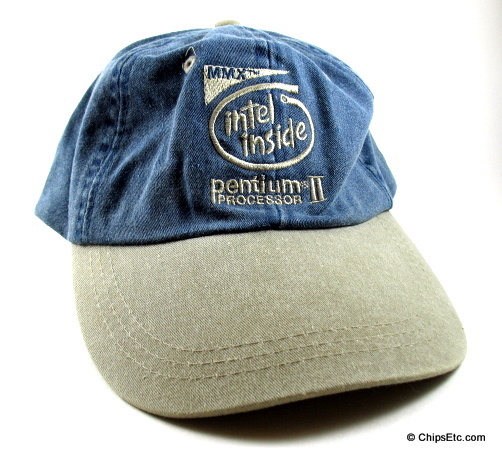 This white hat with black stitched lettering features a unique version of the Intel Inside style logo and was given to Intel Fab 12 employees to promote the move from .25 to .18 micron technology with the start of Intel's new P858 process on April 5th 1999. 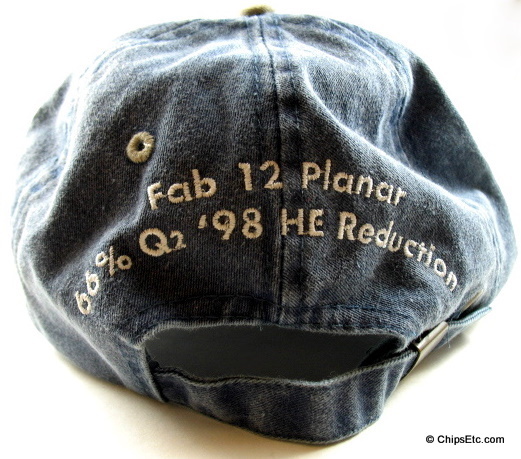 Pentium II Processor stitched logo hat was award was given out to Fab 12 employees who worked in the Planar area (Planarization is the process step of polishing a silicon wafer to give a smooth surface before the Lithography step) for a Q2 1998 improvement change to being HE (helium) reduction in the process down to a 60% volume. 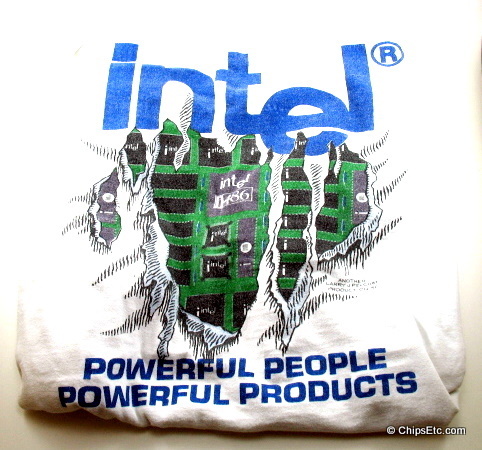 Intel i486 Processor T-shirt which features a motherboard with Intel 486 processor graphic and the phrase "powerful people, powerful products". Has a large Intel Dropped-e logo in blue. 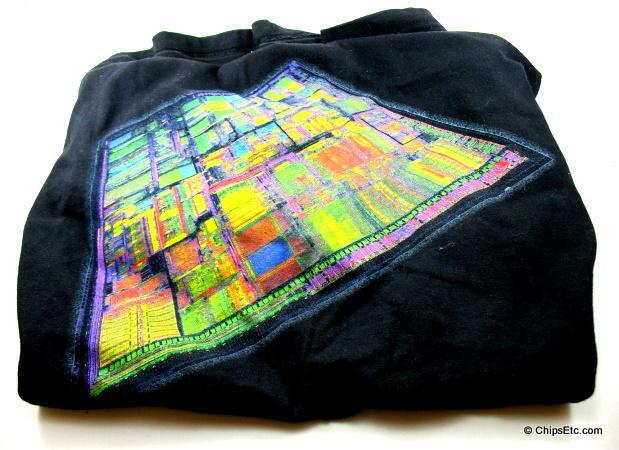 This black shirt features an Intel Pentium Processor chip graphic in glow in the dark Black-light colors. 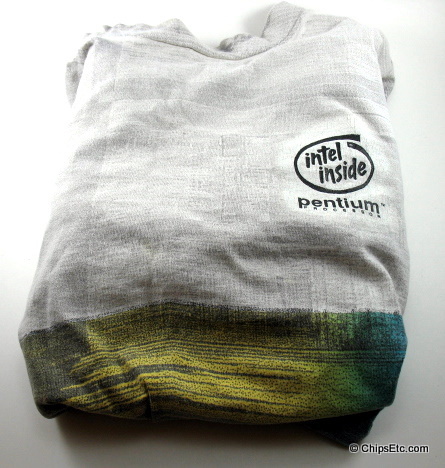 Gray T-shirt features a full color graphic of an Intel Pentium Processor chip on the front. Athletic Soccer T-shirt in bright Intel Blue features a large Intel Inside Logo on the front in white with blue & white trimmed collar. 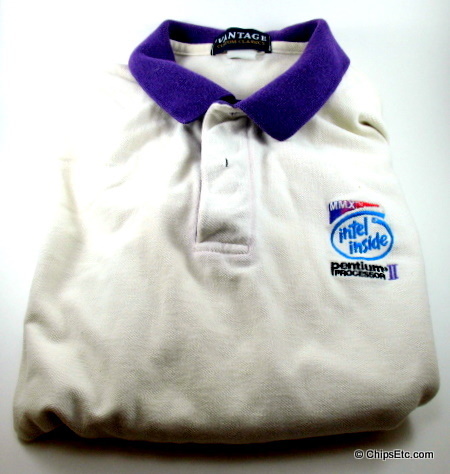 This polo shirt features the Intel Pentium II MMX logo on the pocket. 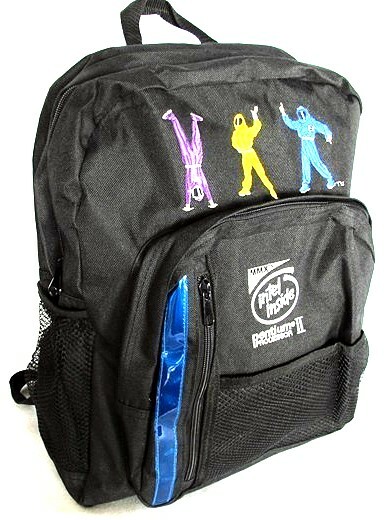 This polyester backpack features three Intel Bunnypeople characters embroidered on the front as well as the Intel Inside Pentium II MMX logo. Measures 16" tall x 14" wide. 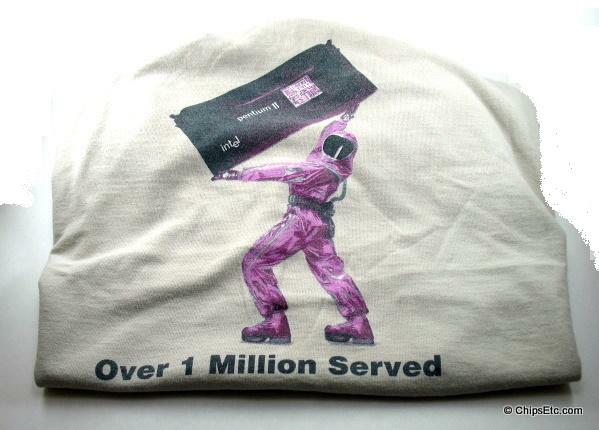 This T-shirt features the image of an Intel Bunny Person holding an Intel Pentium II Processor cartridge with the phrase "Over 1 million served" to celebrate the success of the Pentium II Processor achieving 1 million chips sold. 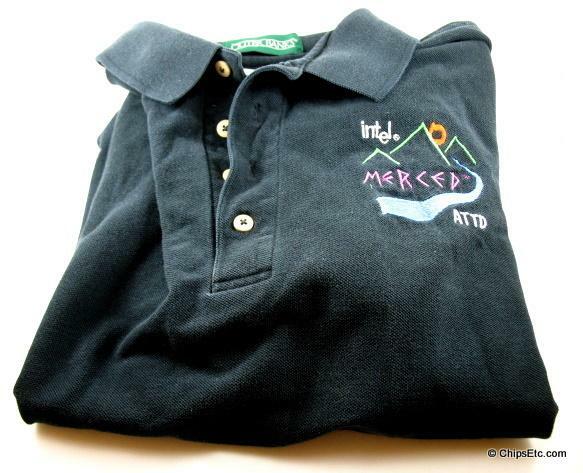 Black polo shirt with the Intel Merced (codename for the original Itanium 64-bit processor) and ATTD (Intel's Arizona development site) with the Arizona desert motif all in colorful stitching. Given out to Intel ATTD employees who worked on the Itanium processor. 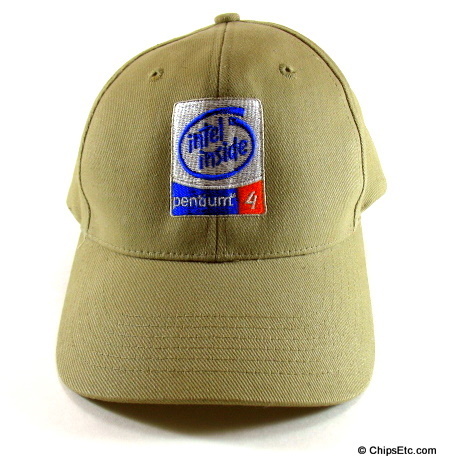 Tan hat with a stitched Intel Pentium 4 "Intel Inside" patch on the front. 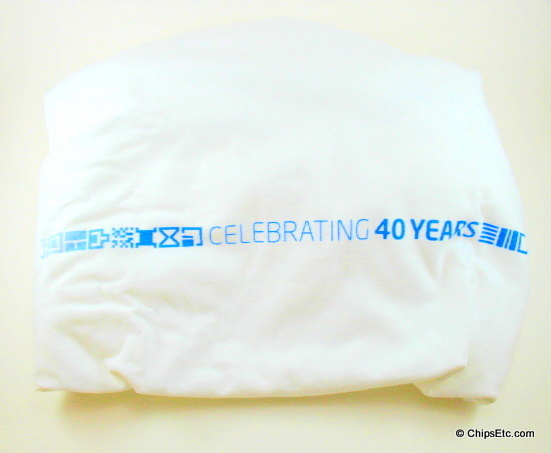 T-Shirt released to celebrate Intel's 40th Anniversary in 2008 has printed blue symbol graphics and the phrase "Celebrating 40 Years". These "Chengdu Can Do!" 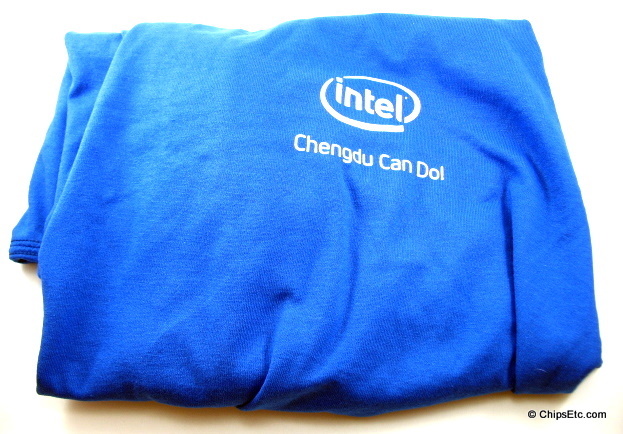 shirts were sold by Intel employees to raise money to donate to the victims of the Chengdu China 7.9 earthquake that struck on May 12th 2008. 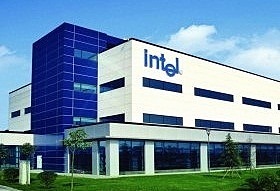 Intel has assembly and testing facilities outside of Chengdu. The Intel foundation donated over $6 Million for China earthquake disaster relief. 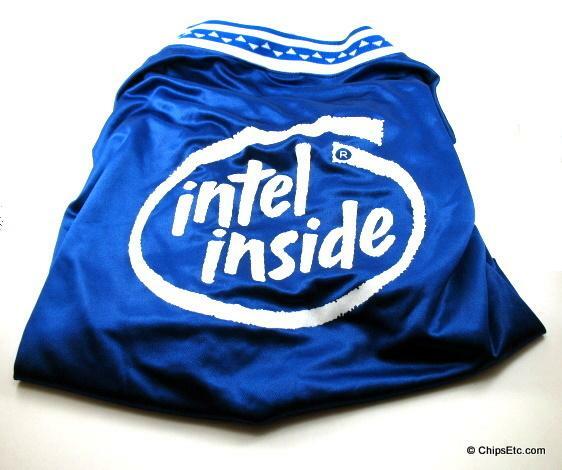 This gift was the largest ever in the history of the Intel Foundation. Intel employees worldwide contributed $453,988 which was matched by the Intel Foundation. The Intel Foundation also offered 2 grants totaling $5.3 million.